RV ACs 13,500, 15000, and the 11,000 help to beat the heat and keep you comfortable during those hot, muggy summer days. 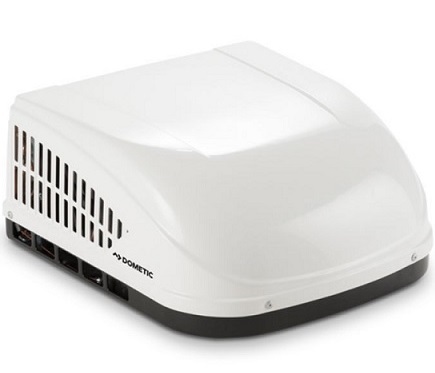 With our great selection of RV air conditioners by Dometic, we not only offer you the best product, but a well-known product as well. We have some Dometic RV air conditioners that offer shipping anywhere inside the United States. You can get them for ducted and non-ducted campers, depending on which one you need. These units run quietly so as not to disturb you while you are resting or while driving. We carry all the accessories you need to make these RV air conditioners work for you: filters, RV air conditioner covers, thermostats, ceiling assemblies, and more. With an air conditioner from RV Parts Country, you'll never need to sweat the heat again. We have a huge selection of RV air conditioners and RV air conditioner accessories. Whether you have a tow-able camper or a motor home, we have an air conditioner for you. RV Parts Country's selection of RV air conditioners is great for every camper since we have such a wide selection online of wholesale new units. RV air conditioners will fit in a 14" x 14" hole in the top of a coach. You will need to unscrew your ceiling assembly from the inside with 4 mounting bolts and then disconnect your power supply to take off your old AC unit. You will need to take your top unit off from the outside of the camper. When putting your new AC on, they will come with a pre-installed gasket that you must line up with your cut out hole for the AC. Hook up your power supply from the inside of the coach next. You will either have a ducted or non-ducted ceiling assembly to install from the bottom. If it is non-ducted, you will just hook it straight up using the bolts and plug in from the box to the air conditioner. If it is ducted, you will need to line up your duct work with the face place and make sure your thermostat is properly connected to your brain box control kit. To find your air conditioner model number for a replacement, please take off your ceiling assembly from inside the coach and shine a light to find the data tag from the manufacturer. It is important to have your model number when finding the right replacement air conditioner for your RV. KEEP IT CHILL Introducing FURRION CHILL, the new aerodynamically designed, mid-profile and powerful air conditioner for your RV. These units have been engineered with dual fan technology. They are constructed with lightweight materials to reduce weight impact on your RV. We carry high capacity; non-ducted; ducted; 13,500 and 15,000 BTU units, and ceiling assemblies. There is no need for you to go without proper A/C again. Also, we have the Advent RV air conditioners that was just released Spring of 2011. Stay cool these hot summer months with one of our RV air conditioners. Having a working air conditioner is important in your RV, especially if you travel in the summer months. 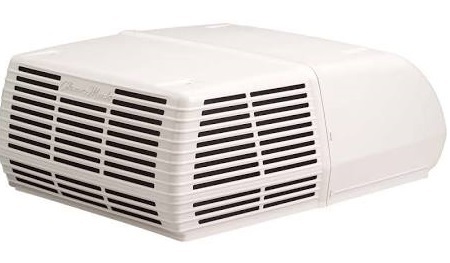 We offer both Dometic and Advent 13500 BTU air conditioners. Now you have a place to escape the heat with our RV air conditioners.